Home / NEWS, CURRENT AFFAIRS & FEATURES / Current Affairs, Persecution & Christianophobia / Africa / BREAKING>> 450,000 Christians Flee From Islamic Extremist Attacks in Africa – Obama is silent on the slaughter of Africans. Why? The United Nations is demanding immediate support for the Central African Republic (CAR) during a very difficult period. Apparently over 450,000 people have fled their homes after the Muslim dominated Seleka took power and began persecuting Christians irrespective of the alleged government of national unity during the transitional period. Not surprisingly, Christians are trying to protect themselves against Muslim forces within Seleka which are clearly out of control. Therefore, bloodletting is sowing the seeds of distrust and clearly the international community needs to do something before the crisis reaches a point of no return. 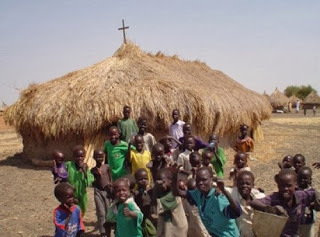 Unlike Christian communities in Egypt, Iraq, Pakistan, and in other nations, whereby various sects are persecuted, it is clear that in the CAR — just like in South Sudan — that Christians will not just sit back and wait to be slaughtered or become trapped in ghettoes. It is hoped that the international community will be fair in pointing out the real factors behind communal violence. After all, it is clear that religious tensions erupted after Seleka troops began to ransack Christian areas. However, the same media which always points out the “Buddhist” angle in Myanmar (more Christians have been killed in Myanmar than any other non-Buddhist religion in the last few decades) in relation to the persecution of Muslims in this country; they appear to loathe to point out massacres by Muslims forces in the CAR against Christians; just like the persecution of Buddhists and others in the Chittagong Hill Tracts is barely mentioned in Bangladesh.